The Virtua Striker series, as with most games with “Virtua” in the title, got its start in arcades. 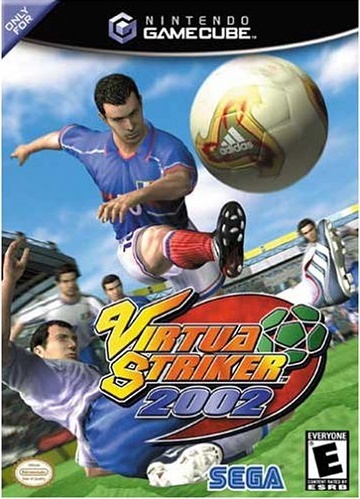 Developed by legendary studio Amusement Vision (Super Monkey Ball, F-Zero GX, Planet Harriers), Virtua Striker 2002 (based on the arcade game Virtua Striker 3) combines fast and fluid pick-up-and-play controls with unrelenting and challenging AI. 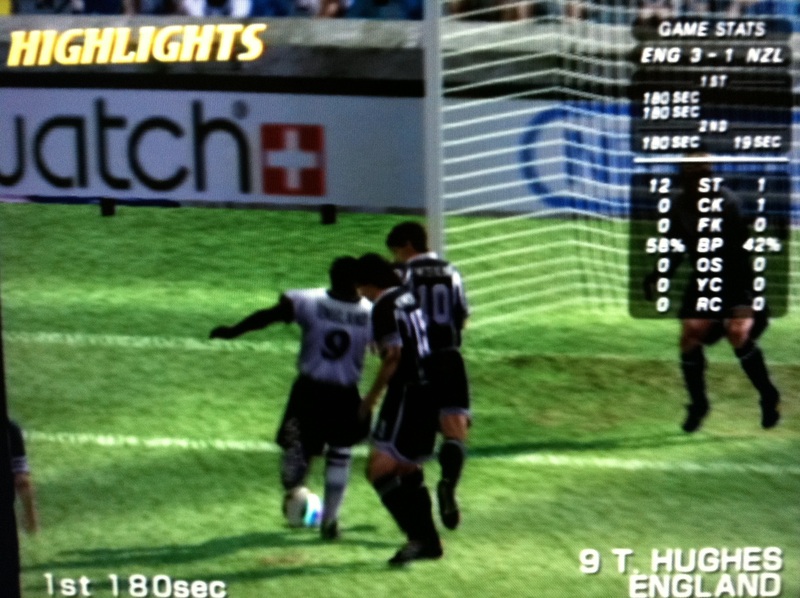 The GameCube release of Virtua Striker 2002 was met with poor reviews at release, primarily due to its simple three-button control scheme. The game’s arcade roots definitely show in the controls, which consist of long pass, short pass, and shoot. While the basic controls may have been seen as a detriment at the time, they are part of why the game is still enjoyable to play today. For me, the controls are exactly what I want from a soccer game (for the record, two of my all-time favorite futbol releases ever are the similarly simple Nintendo World Cup (NES) and Super Sidekicks 3 on the Neo Geo). While there is certainly a place for complicated sim controls in sports games, there is also something to be said for being able to pick up a game from over a decade ago and immediately start playing and having fun. 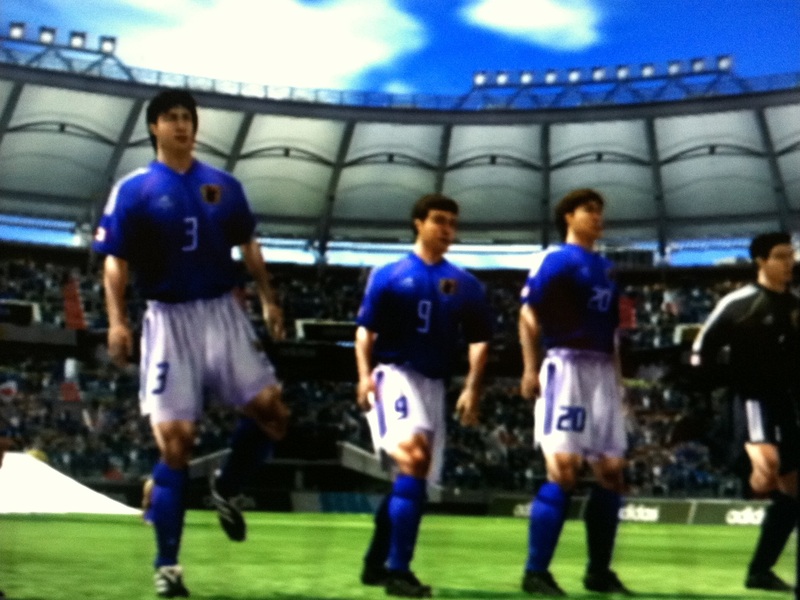 And Virtua Striker 2002 is definitely fun. The game plays out from a fairly close-to-the-action viewpoint, which serves to heighten the tension and excitement from the moment of kick-off. This excitement is amplified by the general speed of each match, which is quite fast due to quick players, a small pitch, and short (default) match lengths. The AI in the game is incredibly aggressive, especially on defense- they constantly intercept the most seemingly surefire of passes, even on the easiest difficulty. While this can frustrate at times, it can also result in some thrilling games. There are plenty of ways to battle the computer. 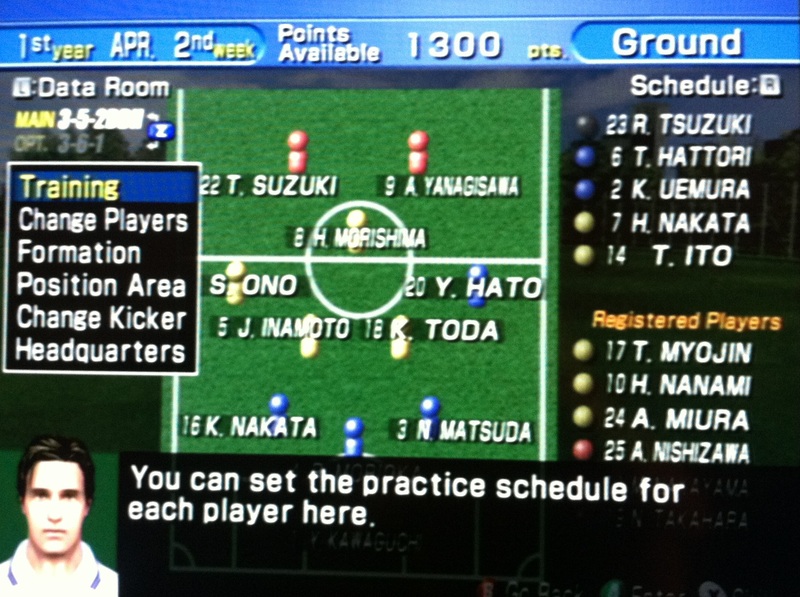 In addition to a variety of tournaments, Virtua Striker 2002 also includes a surprisingly deep “Road to International Cup” mode. Here, you take the role of the coach and micro-manage your team throughout a season. While the scope and depth of this mode is impressive, it’s not exactly what I want out of a soccer game. For me, it’s all about the excitement and fun of the matches themselves, whether facing off against the computer or a friend on the couch. Outside of the Road to International Cup mode, Virtua Striker 2002 is soccer distilled to its essence, then amped up to provide raw arcade thrills. Its deficiencies compared to sim games are what give the game its identity. 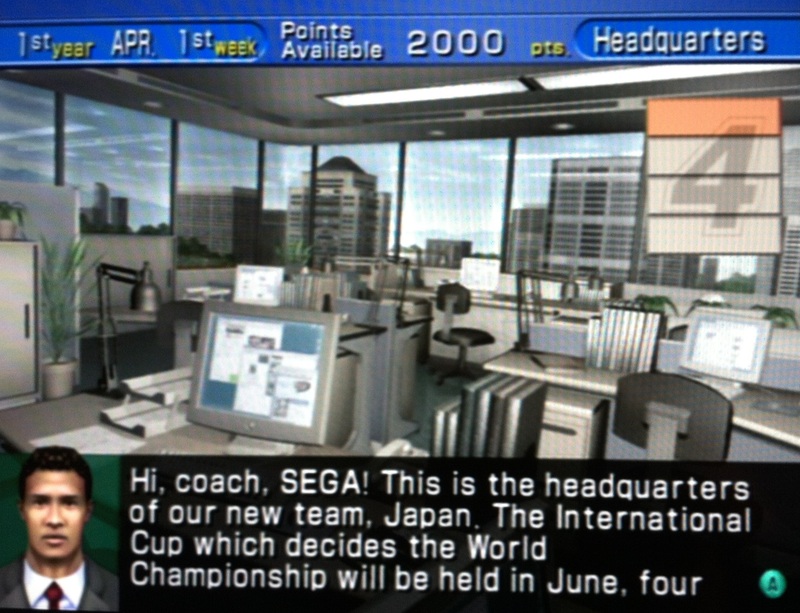 For example, while there is no play-by-play commentary during matches, the voices you do occasionally hear are classic excited arcade Sega, as is the synth-pop in the menus and between matches. 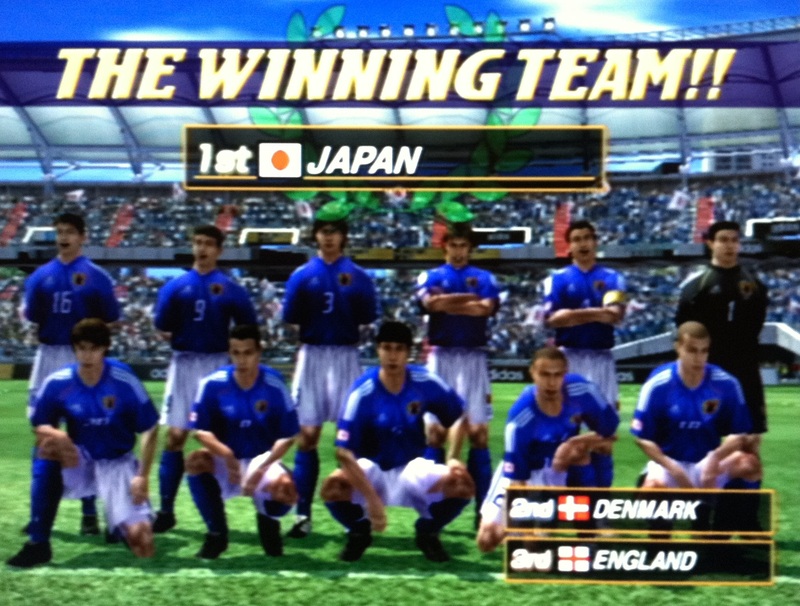 Virtua Striker 2002 is a soccer game uncompromising in its identity. It’s fast, smooth, challenging, exciting, easy to learn, occasionally silly, and always bright and colorful. It’s not perfect and probably not for everyone, but Sega’s arcade approximation of the sport is definitely for me. 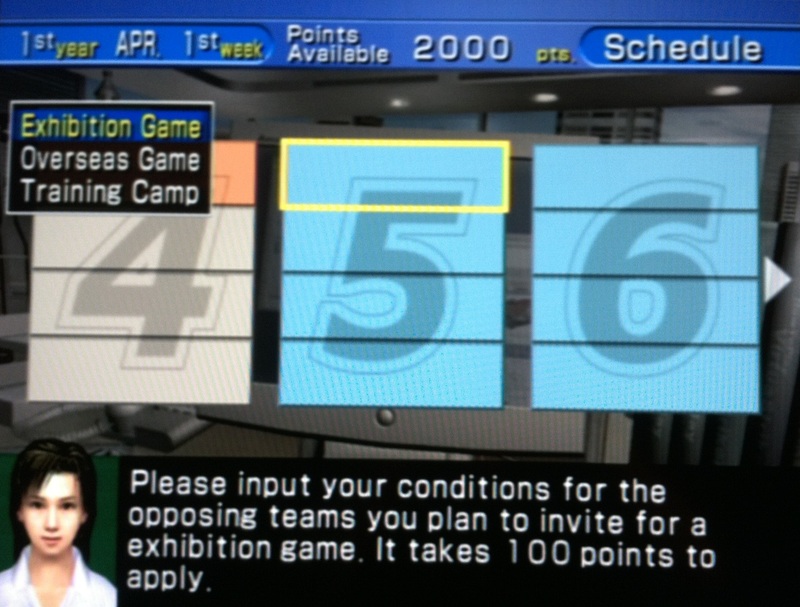 This entry was posted in Thoughts and tagged Amusement Vision, Gamecube, Sega, Virtua Striker 2002 by ryan. Bookmark the permalink.